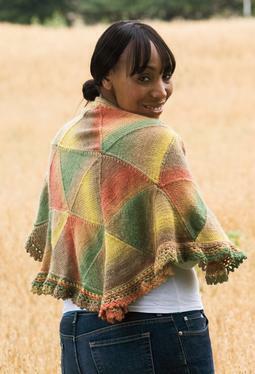 Sizes Included: Small - 15" x 60", Large - 19" x 72"
This stay-put shawl design is made of addictive modular triangles. 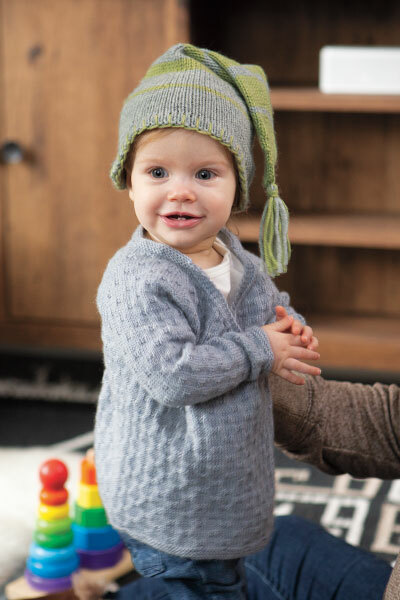 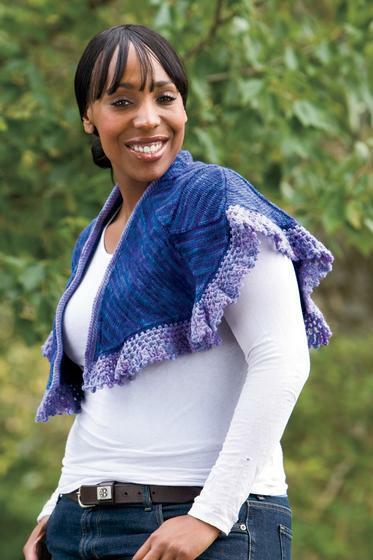 The pattern includes three different methods of assembly, three different border options (two knit, one crochet) and two different sizes. 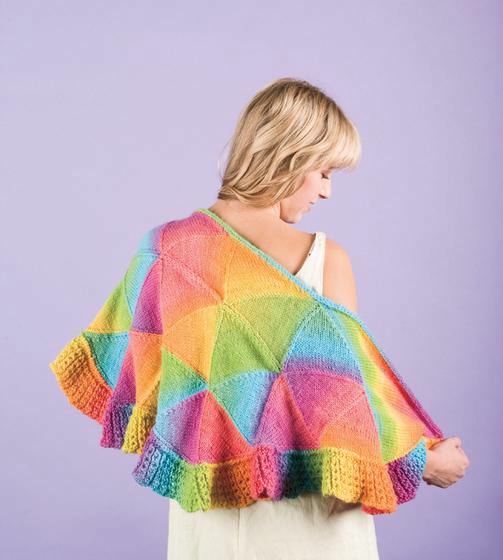 The pattern is easily adjustable to any yarn or size simply by changing the number of stitches you cast on for a triangle. 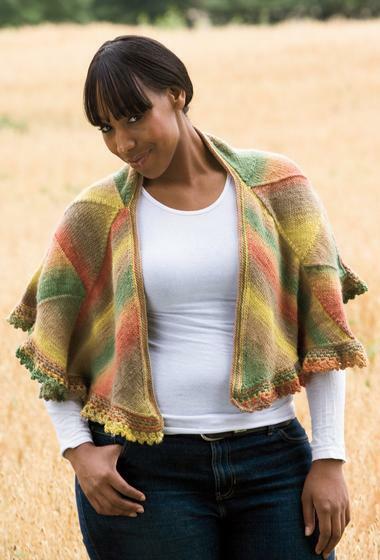 The smaller shawl with a simple I-cord border uses 650 yards, the largest with a full border uses 1300 yards, both in worsted weight. Although the Kaleidoscope shawl is a natural for slow-color-changing or tonal yarns, if you choose to use a different color for each triangle or strip of triangles, this can also be a great stash-busting pattern for those partial skeins we all have. 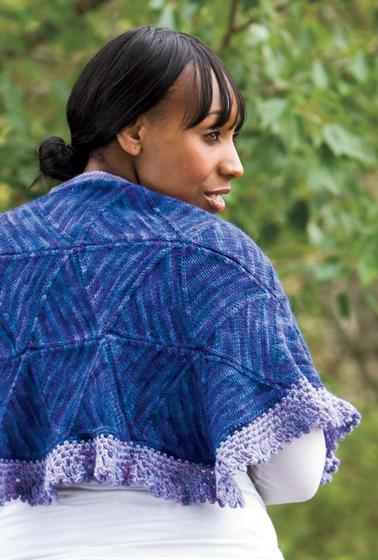 Main image shows large version in Chroma Worsted New England; additional images show small 2 color version in Wool of the Andes Tonal Deep Waters and Blue Violet, and small version in Chroma worsted Lollipop.